All these sectors are growing at a rapid pace. 1. Belongs to the India Glycols group. 2. EVs are upon us and every country will have to ensure that all citizens get adequate power. Power cable manufacture will spiral upwards, benefiting the company in the long run. Another positive news is that the company has discontinued the Production of ST and LT cable (finished product) because of intense competition, and is focusing on manufacturing raw materials. 3. Composites are the future and therefore engineering plastic manufacture will grow faster than you can expect. This is because the demand for lightweight engineering parts will outpace the demand for engineering materials made using conventional metals. 4. Telephone cable demand also is a no-brainer. India has thousands and thousands of villages where basic mobile telephony services have to be strengthened/installed. 5. The company’s product demand is impacted by high crude prices, but the margins aren’t. The company revises prices based on crude rates and therefore, going forward, as crude prices soften, the margins will remain more or less the same but the demand will increase because the selling prices will be revised downward. The current profit margin of the company is 25%, and the company is growing @11.5% CAGR. Plus, the advent of EVs is upon us. This is a huge market for plastics and it is bound to take off in a big way. The impact of this event is not factored into this report. It’s not just EVs, even 3D printers are upon us and resins and composites are the major materials used to craft products from 3D printers. As crude price drops, the margins will remain steady but the products will become cheaper and consequently demand will increase. Plus there’s disruption waiting to happen (EVs, 3D printers). 6. Sales for 2017-18 were 35 crores and EPS was 67 paise (Cash EPS 1.08). Sales in 2018-19, going by trends will hit 45 crores and EPS should hit Re 1 (expected cash EPS Rs 1.4). 7. The company is optimizing its product mix by focusing on manufacturing black and other colour masterbatches (compounds required for the manufacture of plastics). Earlier it was focused on making white master batches. Coloured masterbatches enjoy a higher demand. 8. The company’s exports to Africa have been hit for the last 2-3 years because of unrest. However, domestic demand is growing by leaps and bounds specially after GST. Quality conscious manufacturers are ditching unorganized polymer compound manufacturers and moving to the organized sector, which is an advantage for the company. The write-up above is on the information contained in the AR and on my telephonic conversation with the company’s officials on 14 November 2018. In my opinion, this company does have good potential if it is held for 2-3 years given the current demand and disruptions that are around the corner. But please do your diligence before acting. Disclosure: I and my friends are holding the stock since the last 8 months and have bought some more between 17-19. 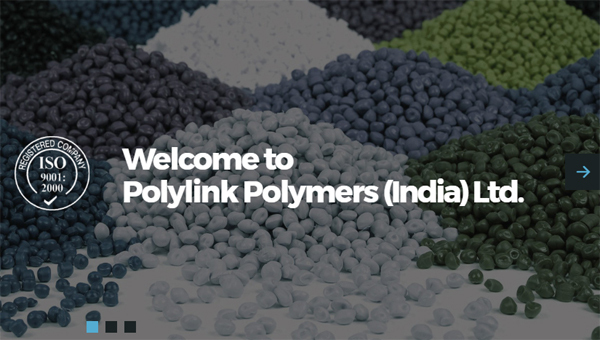 6 Comments on "Is Polylink Polymer a Multibagger?" Thanks for introducing a company with great future. However,is it not that the products of the company appear to have low entry barrier. Not many in the organized sector. GST has shaken off unorganized players..